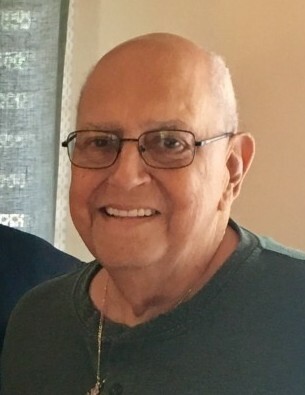 Obituary for Arthur B. Velardo | Shore Point Funeral Home and Cremation Services, Inc.
Arthur B. Velardo, 75, of Hazlet, New Jersey, passed away peacefully surrounded by his loving family on Sunday, September 9, 2018 at Bayshore Community Hospital. Arthur was born on September 24, 1942 in Newark, New Jersey, and grew up in Menlo Park, where he was a graduate of Menlo Park High School. On October 15, 1966, Arthur and his wife, Rosanne, were married and began their lives together in Old Bridge, New Jersey, before settling in Hazlet. Arthur joined the United States Marine Corps in 1961 and served two tours in Vietnam achieving the rank of Sergeant, before he was honorably discharged in May 1967. He also worked for C & S Delivery Systems for 42 dedicated years before retiring as Foreman in 2005. Arthur loved all things Disney related, F1-car racing, football and cooking, but most all of he adored being with his much loved children and grandchildren. He was also a parishioner of St. Benedict Church in Holmdel, where he volunteered for their Food Pantry and loved working with his many special friends there. He was predeceased by his parents, Michael and Mena Velardo, his brother, Michael Velardo and his wife, Joan, and his mother-in-law and father-in-law, Christine and Basil Cavalli. Arthur is survived by his beloved and devoted wife of 52 years, Rosanne (Cavalli) Velardo, his loving children, Arthur B. Velardo Jr. and his fiancée, Christina Ausmus, of Flemington, New Jersey, and Christine Berni and her husband, Alan, of Hazlet, New Jersey, and his cherished grandchildren, Nicole and Joseph Berni and Alessandro Velardo. He is also survived by his special nephew, Michael Velardo, his former daughter-in-law, Diane Velardo, his special cousins, Joseph and Suzanne Lombarde and Bernadette McLoughlin, along with many adored cousins, extended family members and friends. Arthur was one of a kind; a tough and proud Marine through his life and will be sadly missed, but never forgotten. Family and friends are invited to visit on Thursday, September 13, 2018 from 2:00 to 4:00 pm and 7:00 to 9:00 pm and Friday morning, September 14, 2018 from 8:45 to 9:30 AM at the Shore Point Funeral Home and Cremation Services, Inc., 3269 State Highway/Route 35 North, Hazlet, New Jersey 07730. A Mass of Christian Burial will be offered on Friday morning, September 14, 2018 at 10:00 AM at St. Benedict Roman Catholic Church, 165 Bethany Road, Holmdel, New Jersey 07733. In respect of his family's wishes, Arthur will be privately cremated. For information, directions, or to send condolences to the family, please visit, www.shorepointfh.com.